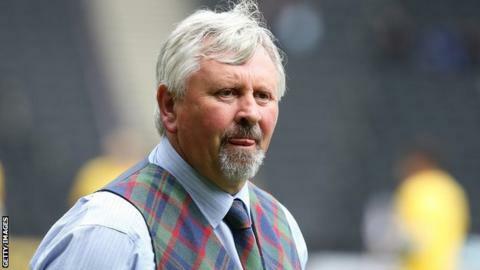 Yeovil Town manager Paul Sturrock says public backing from chairman John Fry is crucial in their battle to avoid relegation this season. Sturrock and Fry received strong criticism following Saturday's 3-2 home defeat by Cambridge United. However, Fry defended his running of the club and Sturrock's management of the team, and Sturrock admitted that recognition was a welcome boost. "The scenario is vitally important," he told BBC Somerset. "We have committed ourselves to a three-year plan. Even without the injuries, we were going to have a transitional period." After a summer of heavy recruitment and an early-season run of long-term injuries, Yeovil are in the relegation zone of League Two. Fry does not feel replacing Sturrock would help turn things around at Huish Park, adding: "After rebuilding the playing squad following our relegation from League One, sacking the manager at this stage of the season would be a backward step. "However, it is time to seriously look at our player recruitment system and coaching methods." And Sturrock is confident the club can get themselves out of trouble. "Once we get healthy, once we pick up a couple of wins, I'm very confident we'll turn this around," he said.